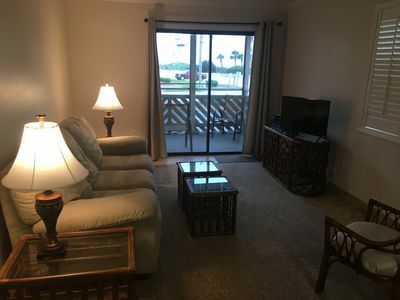 Please note that linens are not included..
We are pleased to offer accommodations at the five-story Sedgefield North resort, where you can watch spectacular sunrises from your own private, oceanfront balcony. 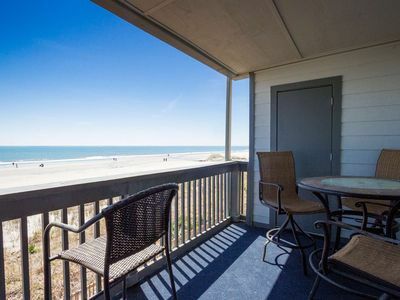 These three-bedroom North Myrtle Beach condominiums have three full baths and are spacious enough for large families or for several couples to share. 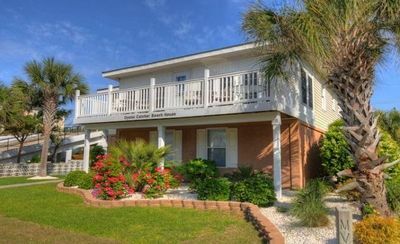 Relax on the poolside sundeck, refresh in the outdoor swimming pool, or stroll across the dunes to the surf and beach of Cherry Grove. 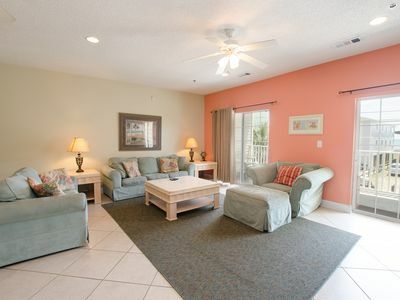 Each condo has a full kitchen and a comfortably furnished living area. 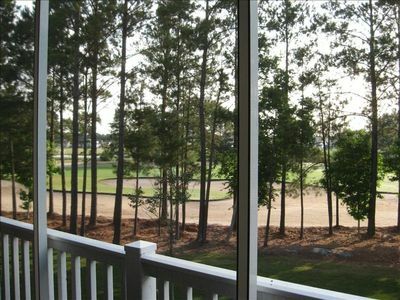 The north end location provides a more naturally secluded setting and less traffic. 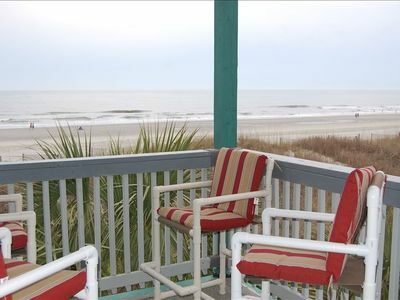 Enjoy a pleasant beachfront winter this year. 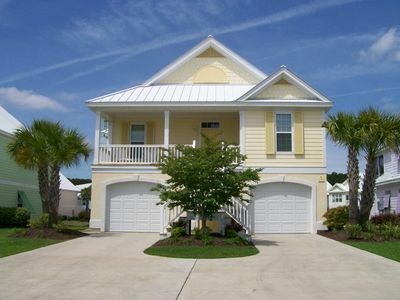 Attractive off-season monthly rates are available at some condos November-March. Free WIFI is available for convenient connections. Non-smoking accommodations are available. Sorry, motorcycles are not permitted. 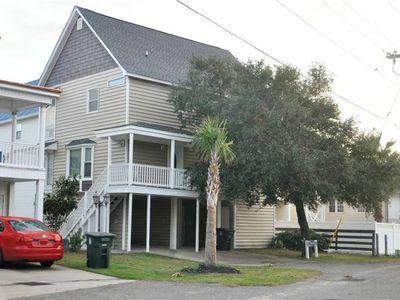 Beautiful 5 Bedroom Condo in Cherry Grove! 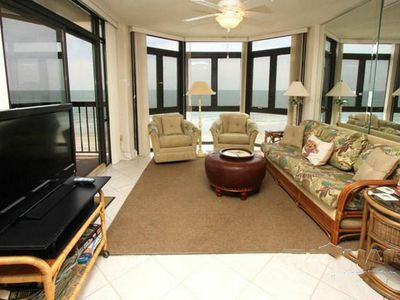 Oceanfront, 3 Bedroom Condo with Free Water Park, Aquarium, Golf & More Every Day! It's warm and sunny in South Carolina. 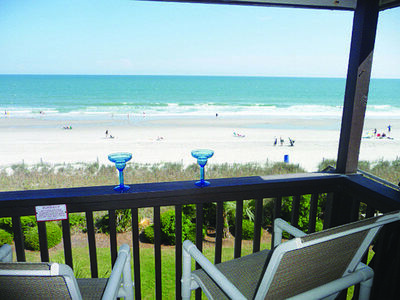 Come to the beach. 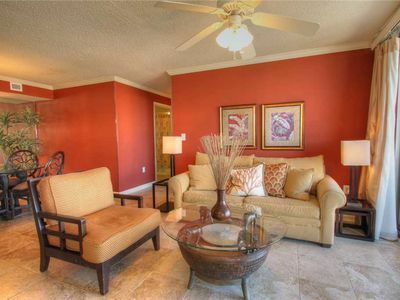 Beautifully decorated ocean view condo with all the comforts of "home"! 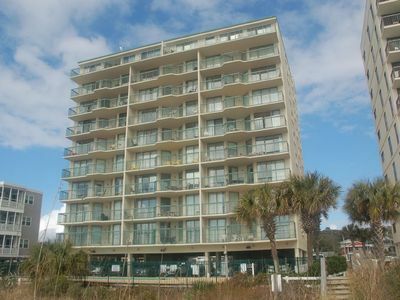 253 Georges Bay Road (Whole) located in Bermuda Bay.